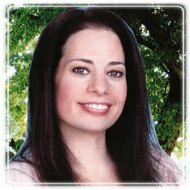 Long Beach Therapist: Gail Desilets - Therapist 90806. Send A Message To Gail. I am a licensed Marriage and Family Therapist who specializes in working with adult individuals and couples to work toward a more peaceful path. My office is conveniently located in the KILROY AIRPORT BUSINESS PARK. Click on my web site www.GailDesilets.com to learn more about how I can help you. Call (562) 477-2530 today for a complimentary confidential phone consultation and let's get started! I welcome the LGBT community!